A sun-lit Vancouver building houses a world-renowned team of scientists and researchers. They are oncologists, medical geneticists, biologists, biophysicists and computer scientists – at the leading edge of cancer research. And each day they come to work with the goal of combatting the most prevalent cancer among Canadian men. 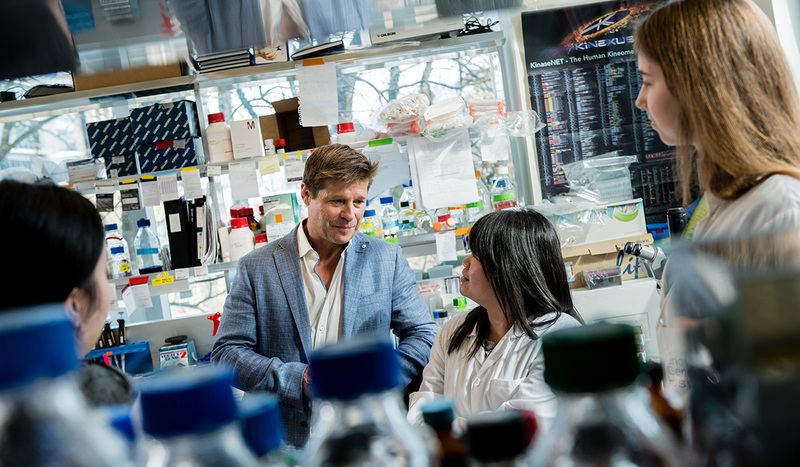 The Vancouver Prostate Centre (VPC) is a research hub hosted by UBC and the Vancouver Coastal Health Research Institute and the source of incredible innovation in translational prostate cancer research. 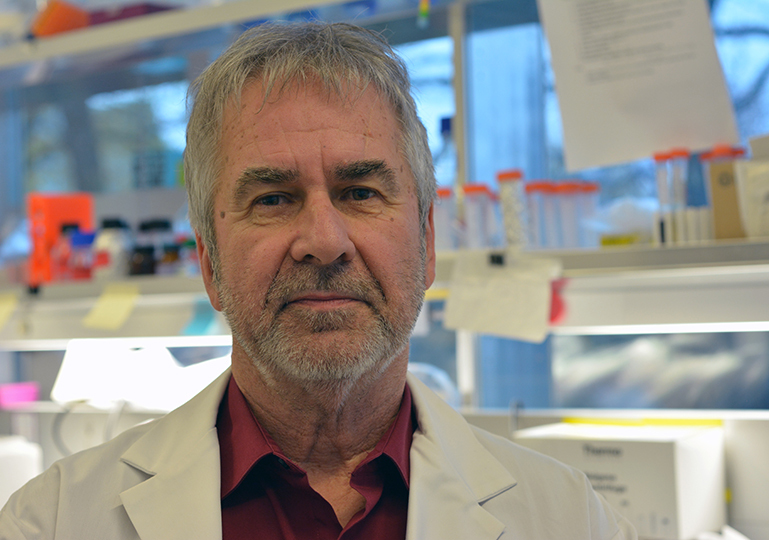 Dr. Martin Gleave, the VPC’s executive director and head of the UBC Faculty of Medicine’s Urologic Sciences department, is the chief architect of this environment. Gleave, a UBC medical school alumnus, co-founded the VPC in 1998. It has since become one of the world’s most respected cancer research facilities. Gleave is also CEO of the Prostate Centre’s Translational Research Initiative for Accelerated Discovery and Development (PC-TRiADD), a national Centre of Excellence for Commercialization and Research. …we have eight new drugs that prolong survival, and overall survival is now more than 36 months. Together, these programs have created a collaborative and fertile environment with a rigorous bench-to-bedside philosophy, focused on advancing clinical research discoveries into treatments with minimal delay. It does so by combining strengths in cancer genomics with research and development of new drug treatments. Research breakthroughs in drug development at the VPC have the potential to treat advanced prostate cancers. One such discovery was made by Dr. Paul Rennie, a world leader in the biology of androgen receptors (AR), and Dr. Artem Cherkasov, whose expertise lies in computer-aided drug design. The potential treatment targets AR which is necessary for the survival and progression of prostate cancer tumours. It was developed by scanning a database containing tens of millions of molecules to find those that work best as possible treatments. Much like the transition from vinyl records to online streaming, we’re using computers to digitize the world of biology. The discovery was licensed to pharmaceutical company Roche in 2015, in UBC’s largest licensing deal to date and could have life-altering impacts on patients. More recently, the research duo designed a drug compound to attack AR at the stage when it becomes a main driver of prostate cancer. Theoretically the drug could shrink existing tumours and prevent the growth of new ones. The plan is to start pre-clinical testing of the drug in 2019 with the potential for clinical trials within three years. In the meantime, scientists at the VPC are pushing forward to stay ahead of highly adaptable protein targets like AR. The team at the VPC includes Dr. Amina Zoubeidi who discovered a possible treatment for neuroendocrine prostate cancer (NEPC), a deadly form of prostate cancer for which there is currently no effective treatment. About 25 per cent of prostate cancers evolve to survive hormone therapy and returns stronger, turning into NEPC. 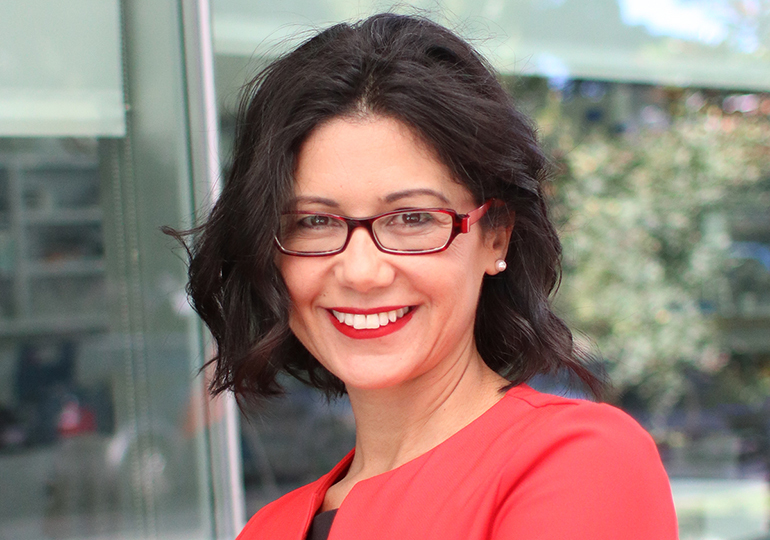 Zoubeidi, an associate professor in UBC’s Department of Urologic Sciences and a senior research scientist at the VPC, was the first female scientist to earn a Translation Acceleration Grant from Prostate Cancer Canada and Movember. She led the team that discovered BRN2, the molecule essential for the growth and survival of NEPC. Her team also developed a first-of-its-kind drug that targets and blocks BRN2. They are currently modifying the drug and hope it can be tested in clinical trials within the next two to three years. “We can now better understand how cancer evolves to become aggressive, and how to design ways to attack it,” Zoubeidi says. 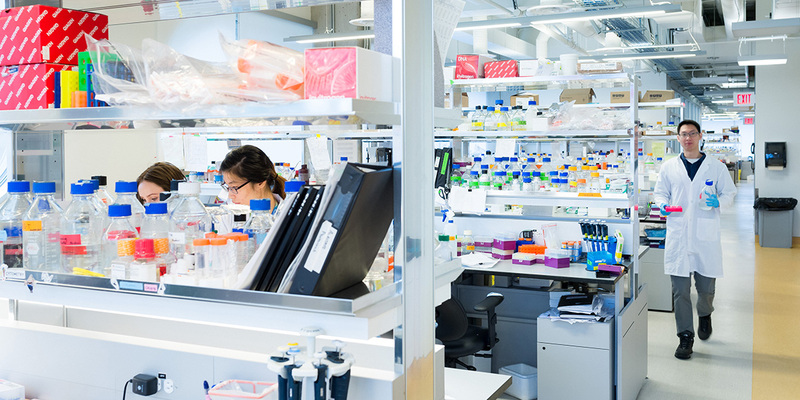 The Vancouver Prostate Centre has been the birthplace of eight spin-off companies including Aquinox Pharmaceuticals, Sitka Biopharma, and OncoGenex, a company based on discoveries made by Gleave, who was a founder and served as its Chief Scientific Officer. By utilizing the research capacity and expertise of the VPC, combined with its relationship with PC-TRiADD, companies like OncoGenex tap into existing resources to accelerate the transfer of knowledge to patient care. The VPC is also a hub for learning, training students from across the globe at the undergraduate, graduate, post-doctoral and clinical fellow levels – an essential component of its success in turning discoveries into solutions. UBC faculty members at the VPC have trained more than 200 learners in the past five years who have gone on to careers in basic biomedical and clinical science. Following years of building a strong reputation in the field of translational cancer research, the VPC has been awarded an opportunity to recruit a Canada Excellence Research Chair in Precision Cancer Drug Design. 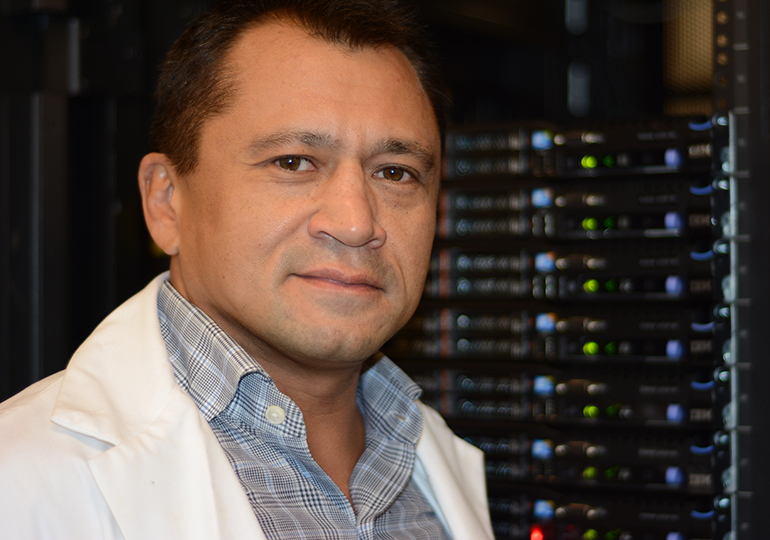 This scientist will lead a program that aims to revolutionize the discoveries at the VPC using companion genomic biomarkers in a precision oncology framework – essentially finding drugs tailored to the needs of patients. We can move these discoveries into treatments that will make a difference for patients and their families. The provision and maintenance of research infrastructure and facilities such as the Vancouver Prostate Centre at UBC and its affiliated hospitals are significantly supported by the Canada Foundation for Innovation and the Federal Research Support Fund. An estimated 21,300 Canadian men are diagnosed with prostate cancer each year. About 1 in 7 Canadian men will develop prostate cancer during his lifetime. Every day 58 Canadian men are diagnosed with prostate cancer. Every day 11 Canadian men die from prostate cancer. Almost 75% of prostate cancers were diagnosed at an early stage (stage 1 or 2).